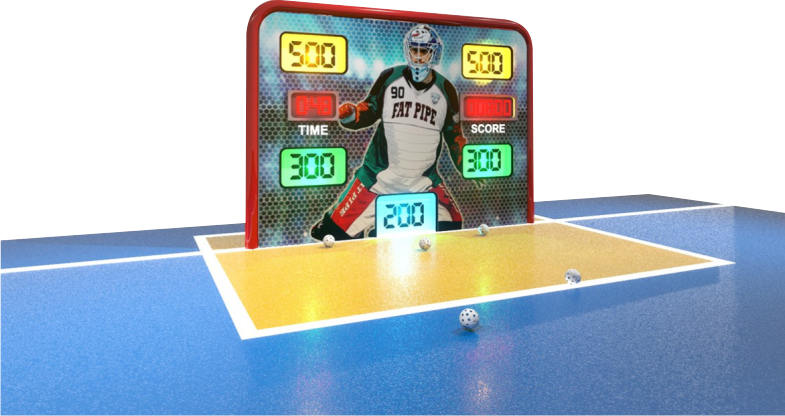 Play against your friend in this interactive electronic floorball target game. Try to hit every one of five holes in 60 seconds and win a game! Wooden frame with metallic structures, and plywood materials. Includes sound and light effects, scoreboard.